As the role and utilization of dual antiplatelet therapy (DAPT) increases, the rate of gastrointestinal (GI) bleeding events are also expected to rise.1 Gastrointestinal bleeds in patients with coronary artery disease (CAD) are associated with poor prognosis. The need to reduce and prevent these bleeding events is potentially mitigated by the use of proton pump inhibitors (PPIs). The mechanism for increased GI bleeds in patients on DAPT is not directly due to the agents, but rather, caused by the combined effects of prostaglandin inhibition by aspirin and decreased platelet aggregation by both aspirin and P2Y12 inhibitors.2 In addition, DAPT creates an environment where the naturally occurring protective mechanisms, such as the mucus barrier and bicarbonate secretion, are altered. This leads to an increased effect of endogenous acids on susceptible epithelial cells. Any bleed that occurs would take longer to heal and potentially lead to an increase in size and scope. It is hypothesized that the addition of PPIs to this environment would lead to a return to equilibrium of acid secretion versus mucus and bicarbonate production. The American College of Cardiology, American College of Gastroenterology, and American Heart Association (ACCF/ACG/AHA) released a consensus statement in 2010 suggesting the use of PPIs to reduce the risk of GI bleeds in patients on DAPT.3 The recommendation was made to consider PPI use in high risk patients on DAPT including those of advanced age, previous GI bleed history, H. pylori infection, or concurrent utilization of NSAIDs, steroids, or anticoagulants. The statement specifically noted to avoid using PPIs in patients at low risk of GI bleeds and stated that PPIs are superior to H2 blockers in reducing upper GI bleeding. In 2014, Morneau and colleagues conducted a retrospective chart review of 250 patients receiving DAPT, with or without concomitant PPI, to determine if prophylaxis was being used appropriately.5 Forty-eight percent of patients in the study were appropriately given PPI prophylaxis based on the 2010 ACCF/ACG/AHA consensus statement. For the remaining patients, 56.4% should have received PPI prophylaxis but did not. Of the patients who were readmitted in the 6 month follow up period, 6 patients experienced a GI bleed, although it was not mentioned if they were on prophylaxis or not during the time of the event. Those patients on PPIs experienced minimal adverse effects. This study is limited by its retrospective design, short study time period, and lack of data about admissions to outside hospitals, but Morneau and colleagues determined that even with the consensus statement, their institution was underutilizing prophylaxis in appropriate patients. This result can likely be extrapolated to most centers around the world. 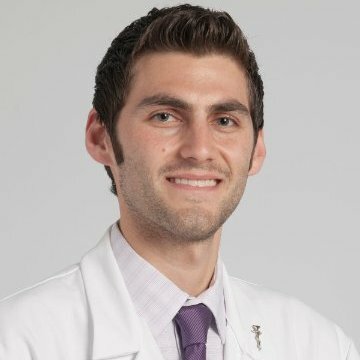 With all the literature currently available, PPI use for GI bleed prophylaxis in patients on DAPT should be utilized in appropriate patients at high risk of bleeding, such as those with a previous GI bleed history, patients above the age of 65, active H. pylori infection, or concurrent utilization of NSAIDS, steroids, or anticoagulants. This would ensure limited adverse events in the general low risk population and balance the risks with benefits in those with a predisposition to GI bleeding. This article was collaboratively written with Juliet Franklin, a fourth-year PharmD candidate at Chicago State University College of Pharmacy. Vaduganathan M, Bhatt D, Cryer B, et al. Proton Pump Inhibitors Reduce Gastrointestinal Events Regardless of Aspirin Dose in Patients Requiring Dual Antiplatelet Therapy. J Am Coll Cardiol. 2016;67(14):1661-71. Gurbel P, Tantry U, Kereiakes D. Interactions between clopidogrel and proton pump inhibitors and management strategies in patients with cardiovascular diseases. Drug Healthc and Patient Saf. 2010;2:233-40. Abraham NS, Hlatky MA, Antman EM, et al. ACCF/ACG/AHA 2010 expert consensus document on the concomitant use of proton pump inhibitors and thienopyridines: a focused update of the ACCF/ACG/AHA 2008 expert consensus document on reducing the gastrointestinal risks of antiplatelet therapy and NSAID use. A Report of the American College of Cardiology Foundation Task Force on Expert Consensus Documents. J Am Coll Cardiol. 2010;56(24):2051-66. Bhatt DL, Cryer BL, Contant CF, et al. Clopidogrel with or without omeprazole in coronary artery disease. N Engl J Med. 2010;363(20):1909-17. Morneau K, Reaves A, Martin J, Oliphant C. Analysis of Gastrointestinal Prophylaxis in Patients Receiving Dual Antiplatelet Therapy with Aspirin and Clopidogrel. J Manag Care Pharm. 2014;20(2):187-93. Valgimigli M, Bueno H, Byrne R, et al. ESC focused update on dual antiplatelet therapy in coronary artery disease. Eur Heart J. 2017;39(3):213–260. Levine GN, Bates ER, Bittl JA, et al. 2016 ACC/AHA Guideline Focused Update on Duration of Dual Antiplatelet Therapy in Patients With Coronary Artery Disease: A Report of the American College of Cardiology/American Heart Association Task Force on Clinical Practice Guidelines. J Am Coll Cardiol. 2016;68(10):1082-115. Levine GN, Bates ER, Blankenship JC, et al. 2011 ACCF/AHA/SCAI Guideline for Percutaneous Coronary Intervention. A report of the American College of Cardiology Foundation/American Heart Association Task Force on Practice Guidelines and the Society for Cardiovascular Angiography and Interventions. J Am Coll Cardiol. 2011;58(24):e44-122.